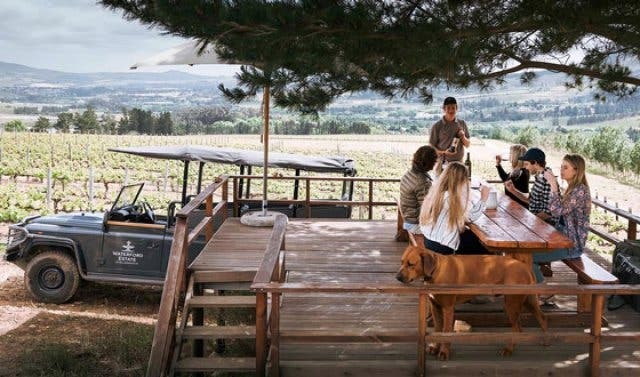 The Western Cape is spoilt for choice with world-class wine regions and top-notch farms – there’s definitely something for everyone and every budget. We’ve rounded up a few of the coolest wine tastings in the Cape Winelands and surrounds. Up to six people. On a private pontoon (with skipper). And award-winning wine as you watch the sun set over Hermanus’ Botriver Lagoon. 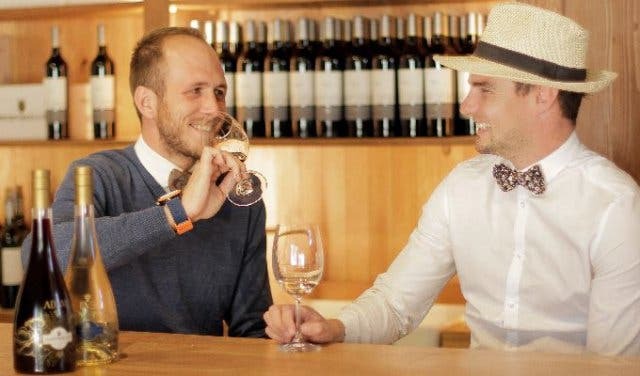 Benguela Cove Wine Estate is famous for its high-quality wines (their Benguela Cove Catalina 2017 was recently named one of the best wines in South Africa) and cellar door tastings and pairings. Yet the 45-minute lagoon cruise and wine tasting takes the cake. Discover it (and more) at Benguela Cove Estate. Sample their Classic Range, Runner Duck Range and their award-winning Vintage Range. The Vergenoegd Löw estate boasts remarkable terroir and climate. Perfectly positioned between Table Mountain to the east and the Hottentots-Holland mountain range to the west, the soil quality is highly diverse and produces a distinct classic wine that has enjoyed consistently good ratings. Wow Factor: They offer some of the oldest vintage reds available to taste on the wine route. 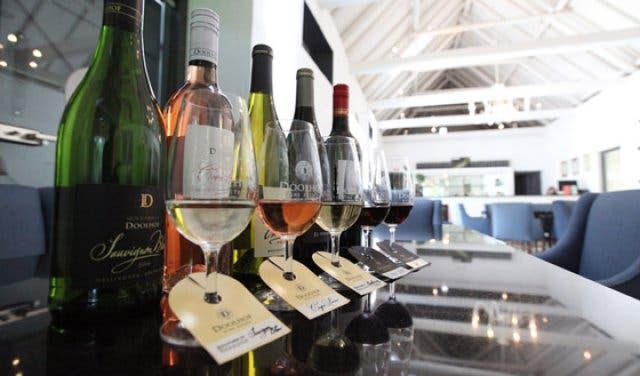 La Motte Wine Estate offers a variety of wine tasting options. Guests can opt for the current vintages of the estate’s popular La Motte Sauvignon Blanc, Millennium, Syrah and elegant Cabernet Sauvignon. The tasting also includes the limited release premium Pierneef Collection. Limited releases such as the La Motte Hanneli R, MCC and Straw Wine are available. Also book for the Vinoteque tasting or Wine and Food Tasting. 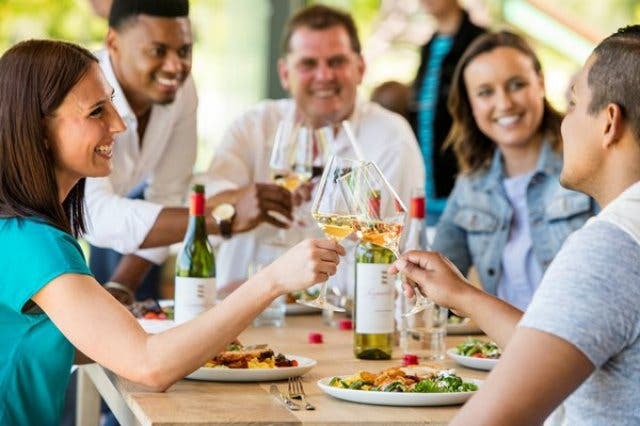 Delheim is known as a pioneer in Stellenbosch wine, not only for award-winning wines and promoting sustainability but also for their pioneering tastings and ideas. 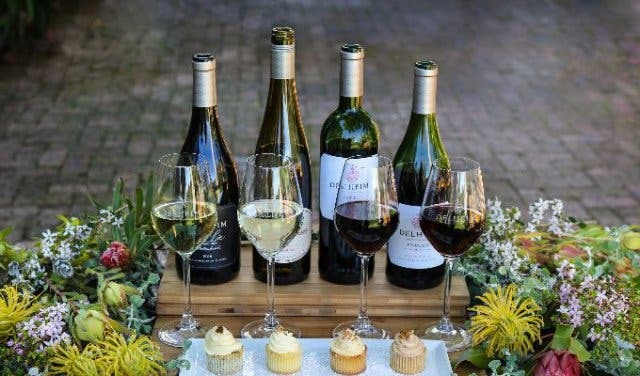 Check out their new Fynbos Cupcake and Wine Pairing at Delheim Wine Farm. Wow Factor: Delheim also produces two vegan wines – the 2018 Delheim Pinotage Rosé and Sauvignon Blanc. 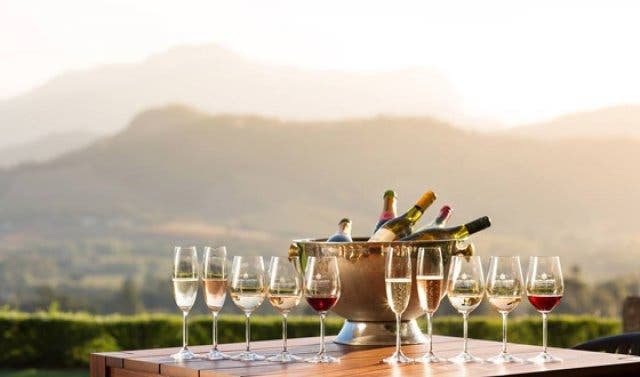 Boschendal has been producing delectable wines for over 330 years and have perfected their balance of rustic tradition and modern innovation, which produces more classic, fruity wines. They produce wine ranges which includes Chardonnay, Sauvignon Blanc, Cabernet Sauvignon, Merlot and Shiraz. Both premium wine tastings and food and wine pairings take place in the historic Manor House (dating back to 1812) at Boschendal Wine Farm. 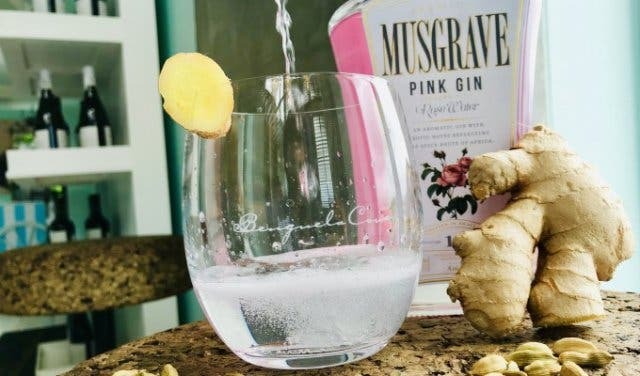 Wow Factor: They have various food and wine pairings such as the MCC and Oyster Tasting, the Angus Beef and Shiraz Pairing, MCC and Canape Pairing. The award-winning Haskell Vineyards has two different ranges of wine: Haskell wine, their flagship range and Dombeya wine, which is their lifestyle range. Since its opening in 2002, the wine farm’s emphasis has been on unique, terroir-driven wines. To experience this delicious wine, you can make bookings for groups of up to 12 people for private wine tastings and cellar tours. Read about Haskells 2019 Platter's award and find out about their 2019 sundowners and picnics. Tasting Price: The Lifestyle Tasting, which consists of five pre-selected wines (four Dombeya wines and one Haskell wine) is R50. The Premium Tasting consisting of four pre-selected wines (three Haskell wines and one Dombeya wine) costs R70. Wow Factor: They also offer customised food and wine offerings at their excellent on-site restaurants, such as their outstanding steamed bun and Shiraz pairing. Opening times: The tasting room welcomes visitors: Tues–Fri: 9am–5pm. Sat–Sun: 10am–5pm. Indulge in an affordable wine tasting experience in Leopard’s Leaps modern tasting room. In terms of the varietal that you will be sampling, you get to choose any five wines from the estate’s Family Collection, Classic or Lookout ranges. Tasting Price: R25/p for any five wines from the Family Collection, Classic or Lookout ranges. R40/p for the premium range where you’ll taste six wines from the Culinaria Collection. R50/p for the private group booking, you will need to book in advance for this. Each wine collection is available for tasting in this option. Wow Factor: On weekends the winery serves a colourful range of wine cocktails. These include a cranberry Rosé Cosmopolitan, a pineapple-based Sauvignon Blanc Cooler and a cinnamon-tinged Chardonnay Margarita. Opening times: The tasting room welcomes visitors: Tuesday - Saturday: 9am - 5pm. Sunday: 11am - 5pm. The tasting room is closed on all Christian religious holidays. 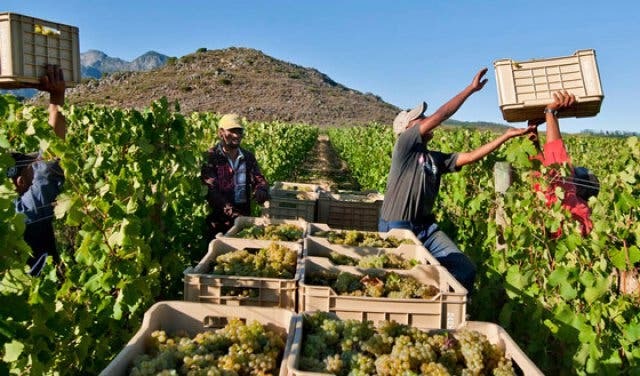 Located east of the Drakenstein mountains, Seven Sisters is a black-owned winery, owned by seven biological sisters from the small town of Paternoster on the West Coast. 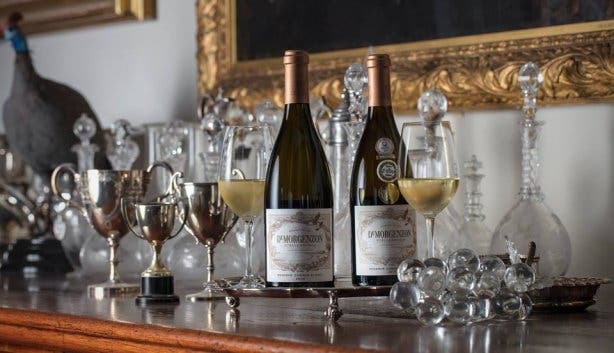 The sisters returned to Paternoster 20 years after being evicted from their home at a young age to create fine wines that suit the style and personality of each sister. Their tasting includes all six of their house wines. Wow factor: Seven Sisters is a black-owned company that has a turnover of more than R2 million a year and exports wine to 42 American states. Opening times: Seven Sisters arranges tastings per request. Contact them to make a booking. Cape Rock Wines embodies the spirit of the West Coast. Located in Vredendal, the boutique farm creates unfiltered wines, made as naturally as possible. Their Amnesty and Asylum wines both don’t contain any added yeast, acid or enzymes, and are made with as little artificial intervention as possible. Their wine tasting includes five wines. Tasting Price: R50/p. The fee is waived on a purchase of four or more bottles. Wow Factor: Cape Rock Wines handpicks all their grapes and stop their pressing process before harsh tannins are released, making for a smooth wine that can be enjoyed young. Opening Times: Cape Rock Wines are open to the public by appointment. Contact them to make a booking. This family-owned wine estate offers both vintage and non-vintage MCCs, dessert wines and award-winning chardonnays. They also boast a range of interesting wines like Turkish delight gewurztraminer, vanilla chardonnay, cherry-choc merlot and a cigarbox shiraz. Tasting Price: Wine tasting costs R60/p. 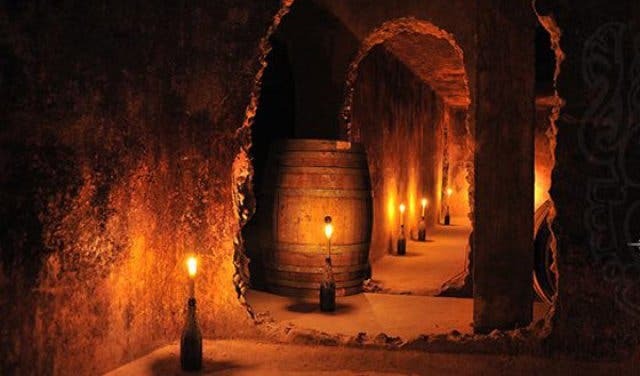 Wow Factor: Weltevrede offers a candlelit wine tasting of the estate's premium wines in the underground tunnels which were used as cooling vaults for wine during the earlier days of winemaking. The underground candlelit tasting costs R100/p. Opening times: Monday to Friday, 8am to 5pm. Saturdays, and Public Holidays, 9am to 3:30pm. Home to award-winning Fleur du Cap wines, Die Bergkelder Cellar offers some interesting tastings. Guests can enjoy an hour-long guided tasting of 5 wines, which is limited to 25 people, but bigger groups can be arranged with prior booking. They also offer Fleur du Cap Wine and Salt Pairings, where you'll experience a unique tasting of great wines and artisanal salt. Tasting price: The hour-long guided tasting and tour costs R60/p. The wine and salt pairings cost R110/p. 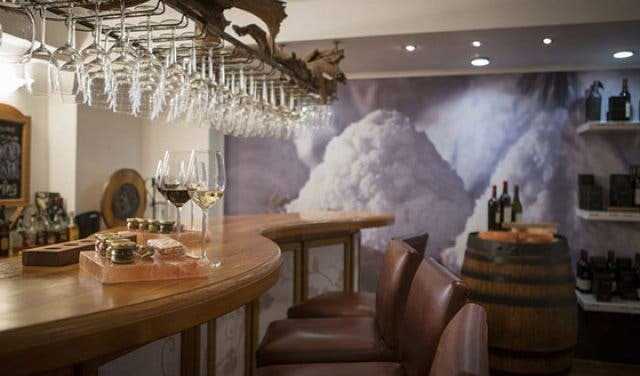 Wow factor: Their cellar is tucked under the historic Papegaaiberg mountain, and is the only underground bottle-maturation cellar of its kind in the Southern Hemisphere. Opening times: Monday to Friday October to April, 9am - 6pm | Monday to Friday May to September, 9am - 5pm | Saturdays October to April 9am - 4pm | Saturdays May to September, 9am - 2pm. Demorgenzon describes their estate as a 91-hectare garden intermixed with 55 hectares of vineyard, and a high altitude means awesome views of Table Mountain, Cape Point and the Stellenbosch and Franschhoek mountains. They offer a tasting of 7 of their award-winning wines. Tasting price: A tasting costs R50/p. Wow factor: The estate believes that music can influence the growth of a vine and the fruit it bears. They’ve been playing Baroque and early Classical music to their growing vines in the vineyards, in the winery and in the cellar every day for the past seven years. Opening times: Monday to Sunday 10am to 5pm. 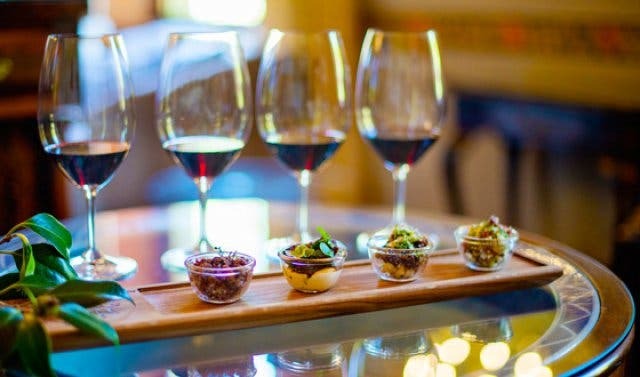 La Motte offers a number of specialised tastings; the Current Vintage Tasting, the Vinoteque Tasting and their Food and Wine Pairing. 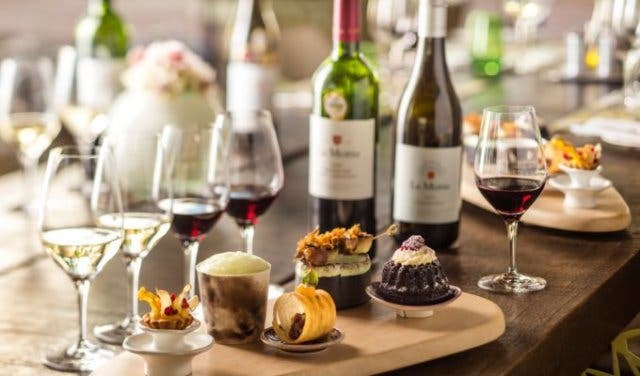 The mouth-watering food and wine Pairing matches five bite-sized portions of haute cuisine, created by Chef Michelle Theron, with five of the winery’s highly rated reds and whites that are selected by cellarmaster Edmund Terblanche. Tasting Price: Expect to pay between R50/p and R200/p depending on which tasting you opt for. 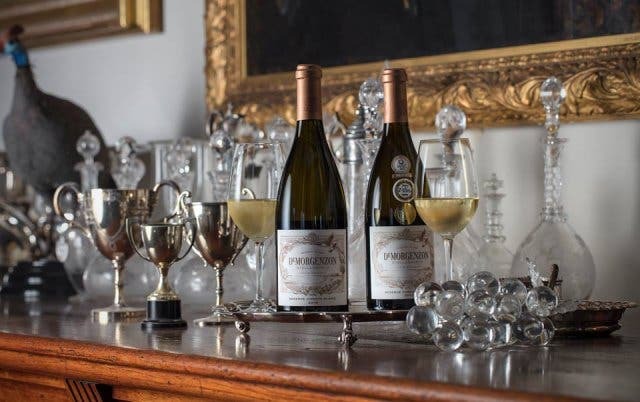 Wow Factor: The estate’s Vinoteque Tasting combines the estate’s older and current vintages so you can discover the evolution of La Motte’s award-winning wines and to learn the effects of bottle ageing and maturation. Opening times: Vintage Tasting: Monday to Saturday, 9am - 5pm | Vinoteque Tasting: Monday to Friday, 9am - 2pm | Food and Wine Pairing: Friday, 10am. There are no tastings on Sundays and all Christian holidays. Reservations for groups, themed tastings and cellar tours are essential and maximum capacity is 16 people. Owned by French winemaker Christian Dauriac – Marianne Wine Estate adds a little à la française to the Cape Winelands. An extensively knowledgeable wine tasting team means you’ll come away knowing a great deal more about wine than you did when you arrived. 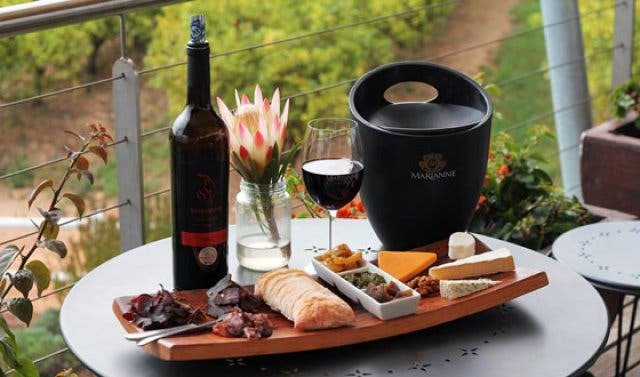 There are several tasting options available including a red wine and biltong pairing and a vertical tasting of at least six Marianne wines. You can also sign up for a highly informative and fun blending tour. Tasting Price: Tastings start at R50/p. Wine and biltong pairing costs R75/p. The two-hour blending tour is R300/p, including a bottle of wine blended by and labelled for you. Wow Factor: Most of their wines are made to improve with age and are released later than any South African wines, meaning you get to taste older wines that are generally unavailable in the Cape. Opening times: Open every day of the year from 10am - 7pm. We suggest you call in advance for larger groups or special occasions. Few things pair better with wine and cheese, but biltong and droëwors are definitely up there. 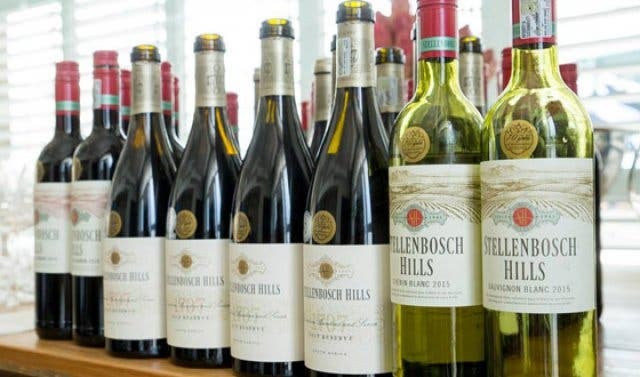 Discover this unique flavour combo at Stellenbosch Hills; the estate partners six of its premium wines with a selection of cured and dried meat and sausage. 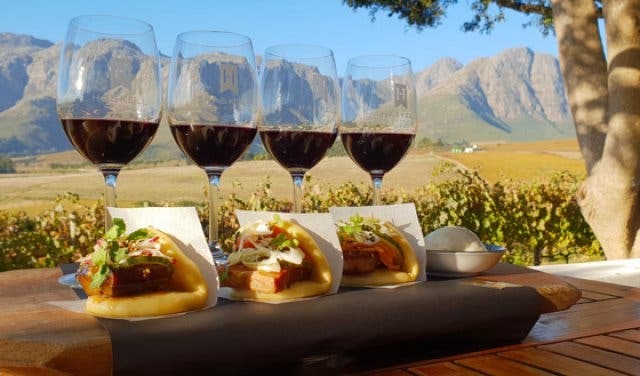 Apart from the Biltong & Droëwors Adventure, the winery also offers a straightforward tasting session where you can select a maximum of five wines to savour. Tasting Price: The meat pairing option costs R40/p while the regular session will set you back a measly R15/p. Do note: should you choose to purchase a bottle of vino after the tasting, the fees will be waived. Wow Factor: Stellenbosch Hills created the Biltong & Droëwors Adventure back in 2005, making them the pioneer of this pairing, and it has been going strong ever since. 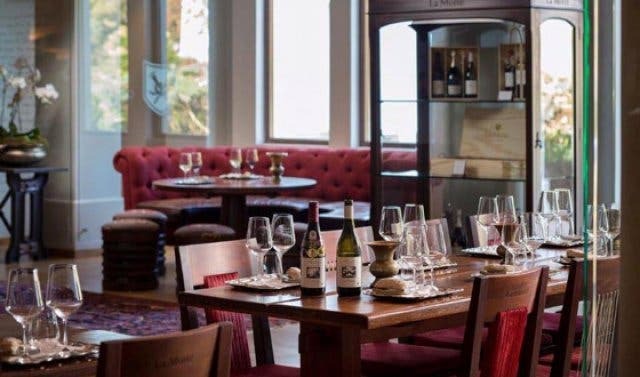 Sip and savour top-notch reds and white on the De Grendel in Durbanville’s sprawling veranda, which boasts gorgeous views of the Atlantic Ocean and the surrounding vineyards. In terms of the actual tasting, you have the option of sampling the full range of De Grendel vino or any three special varietals that are available that day. Furthermore, cheese and charcuterie platters are available to elevate your already fantastic wine tasting experience. Accessibility-wise, De Grendel is roughly 15 minutes away from Cape Town CBD. Tasting Price: Tastings will set you back between R60/p and R80/p. Wow Factor: De Grendel is the only estate with sea views, cool ocean breezes and misty nights. Opening times: The tasting room is open every day of the week: Monday - Saturday: 9am - 7pm; Sunday: 10am - 4pm. Booking is essential for groups of eight or more. 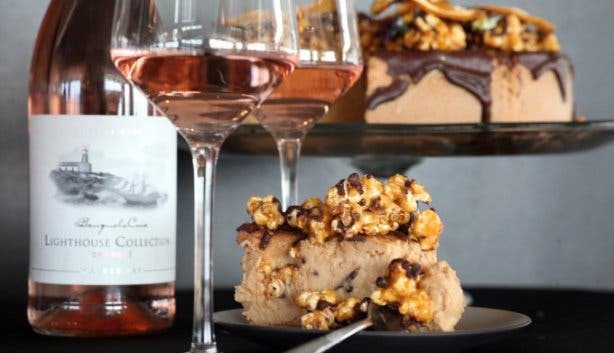 Gourmet canapés served with a specially curated selection of wines and a vino and chocolate pairing to a non-alcoholic tea and snacks combo and secret wine and food pairing, Creation Wines in the Hemel-en-Aarde Valley certainly caters for all. Not to mention, there is a specialised kids’ offering that features juices, flavoured milks and a selection of tasty treats. 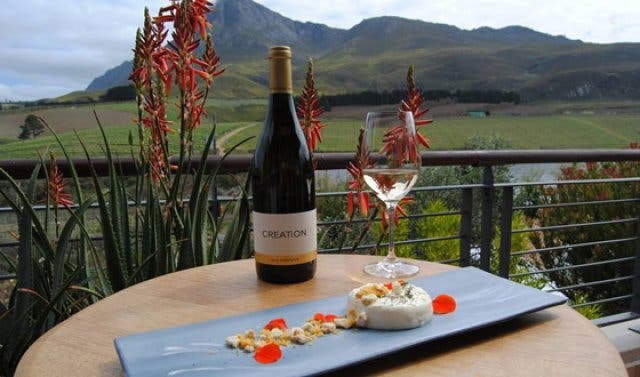 Tasting Price: With prices ranging from R75/p to R250/p, wine tasting at Creation Wines is a little pricey, but totally worth your hard-earned pennies. Do note: the price includes the food pairings. Wow Factor: State-of-the-art equipment imported from Germany, Switzerland and France makes Creation Wines’ modern cellar worthy of the superb grapes harvested on their farm. Opening times: The tasting room is open daily: 10am - 5pm. However, food and wine pairing run until 4pm daily. 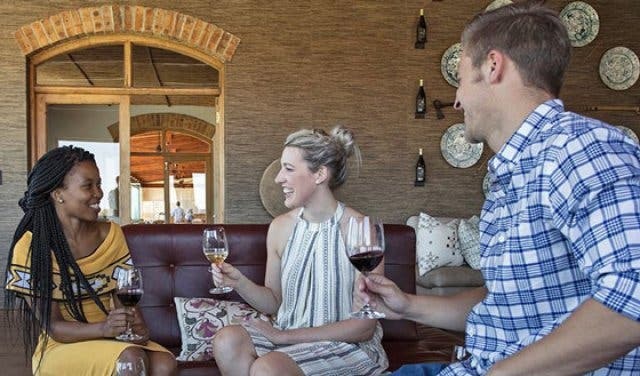 Nestled in the Bovlei Valley near Wellington, wine tastings take place in the Doolhof Wine Estate farm’s original 19th-century wagon house, which has been transformed into a classy tasting room. Channel your inner wine connoisseur and indulge in any five of Doolhof’s award-winning varietals. If you work up a bit of an appetite during your tasting, you can order a light lunch that will be prepared by the estate’s chef. Options include gourmet sandwiches, salads, pastas and a “wrap of the day”. Tasting Price: A wine tasting session costs just R25/p for five vinos, and pensioners get to indulge for FREE on Wednesdays. This fee is waived if you purchase any bottle(s) over R100. The light lunches range from R50 to R100. 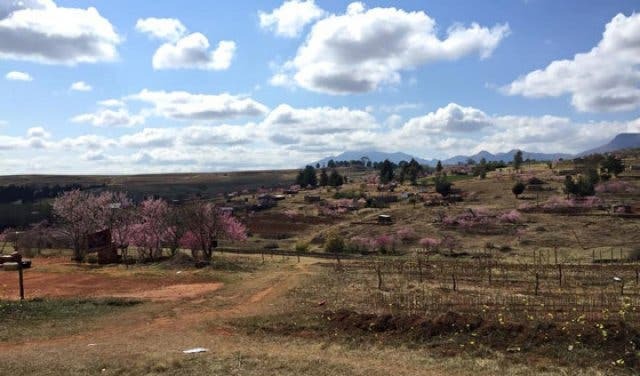 Wow Factor: Doolhof also offers outdoorsy activities in their tranquil setting, where picnics and hikes can be enjoyed on their estate for a full day of fun, food and of course, wine. Opening times: The tasting room is open every day of the week including public holidays: Monday - Saturday: 10am - 5pm; Sunday: 10am - 4pm. Lunch; Tuesday - Sunday: 11am - 3pm. Reservations should be made 24 hours in advance for groups of six and more. Experience the dramatics of Haute Cabrière’s Cellar Master’s Tour. Every Saturday at 11am, owner and founder Achim von Arnim and his son, Cellar Master and Production Director Takuan, will treat you to the ultimate in wine theatre in the auditorium within the Pinot Noir barrel maturation cellar. The pair will regale you with stories of the estate’s history and wine philosophy in the Haute Cabrière intimate vault while allowing guests to taste some of the estate’s finest reds and whites in their natural habitat. You’ll get to sample the estate’s signature Pierre Jourdan Cap Classique range as well as other exquisite still wines. Wow Factor: See the owner and cellar master use a French cavalry sabre to lob the tops off of the bottles. Opening times: Saturday from 11am. Although bookings are not necessary, for larger groups it is recommended. The Waterford Estate which is nestled in the slice-of-heaven Blaauwklippen Valley offers a number of delectable wine tastings, such as the ever-popular Wine & Chocolate Experience. Chocolatier, Richard von Geusau and winemaker Kevin Arnold pair a series of dark and white chocolates with a variation of wines for a unique flavour sensation. Tasting Price: A standard session will cost R65/p, the chocolate and wine pairing will set you back R75/p, and the sip-and-swirl safari is priced at R850/p. Wow Factor: A Wine Drive Safari! The tour will take you on a game drive-type tour of the biodiverse estate followed by a sipping session in one of the surrounding vineyards. Opening times: Waterford tastings sessions can be enjoyed: Monday - Friday: 9am - 5pm; Saturday: 10am - 5pm. Bookings are necessary. 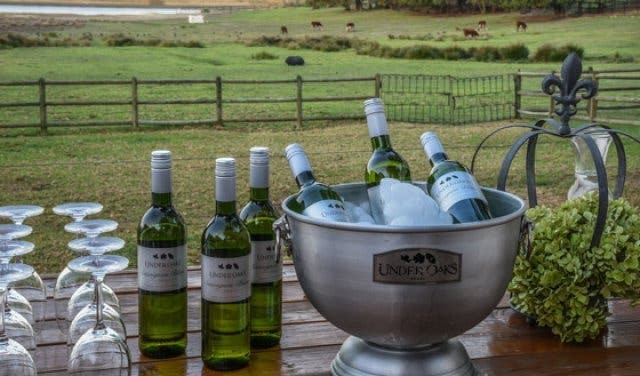 If your palate is craving boutique-style wines that are made from premium grapes, then you will want to make a short trip (roughly 50 minutes from Cape Town CBD) to the Under Oaks Farm near Paarl. This winery’s tasting list features Michelangelo award-winning varietals such as Cabernet Sauvignon Reserve, Shiraz Reserve and Pinotage Reserve. What’s more, Under Oaks also offers an SA heritage wine pairing. 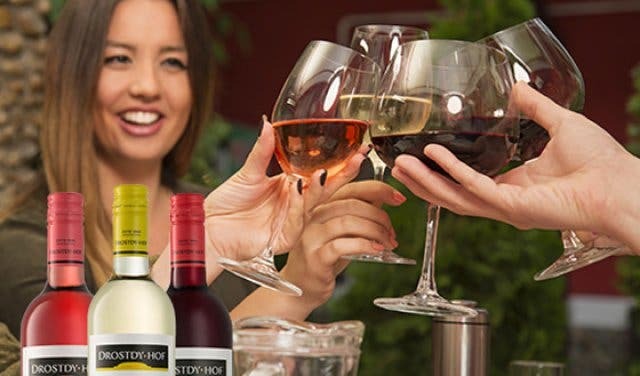 Tasting Price: A standard tasting (five wines) costs R50/p. Wow Factor: Under Oaks hosts wine appreciation mornings where wine lovers can learn about wine (and drink it!) with a down to earth approach without being overwhelmed by all the heavy scientific information. To see future dates, stay up to date on their Facebook page. Opening times: The tasting room is open: Tuesday–Sunday: 11am–4pm. Known as the ‘spiritual home’ of Drostdy-Hof Wines, De Oude Drostdy, which was built in 1804, is certainly a unique venue for a wine tasting experience. The old manor house also doubles up as a museum that features a collection of early Cape furniture and household items. The tasting session takes place in the historic slave quarters where you will be surrounded by candlelight and wine barrels, and you can look forward to sipping on reds, whites and sherries from Drostdy-Hof. Tasting Price: For just R20/p you will get to experience the wines and stroll around the museum. Wow Factor: De Oude Drostdy is home to one of South Africa's oldest private sherry cellars. Opening times: You can drop in for a sampling session on: Monday - Friday:10am - 5pm; Saturday: 10am - 2pm. This unique day trip offering will whisk you off to (re)discover a number of charming spots in the Cape Winelands. 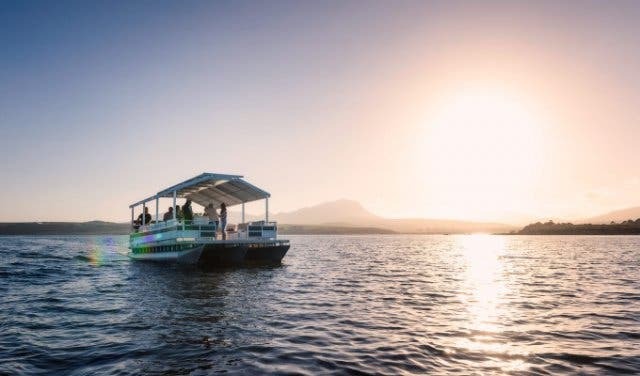 Do some whale watching in Hermanus and indulge in a boerewors and cider pairing in Grabouw, while also stopping off at the family-owned Middelvlei Wine Farm to sample some top-quality reds and whites and take a cellar tour. 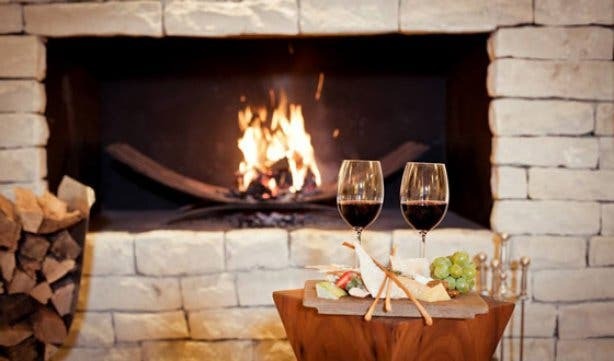 Not to mention, you’ll also make a pit stop at the Wildekrans Boutique Wine Estate where you will get to know some of the estate’s award-winning wines and Grappa with the Whale, Wine and Wors tour. Tasting Price: R880 per person, this includes all tastings, pairings and lunch. Wow Factor: You’ll get to experience unique spots that you wouldn’t normally see such as Oom Samie Se Winkel in Stellenbosch and a boutique winery in Hermanus. Opening times: Tours run every Tuesday and Thursday from 7:30am to 6pm (July to December). Blend your own wine and catch Francois Van Coke on the Wild Olive Acoustic Stage at Riebeek Valley Olive Festival. Take it easy this Sunday with The Kraal’s relaxed Sunday Lunch special. This event has a special focus on animals but concentrates on cheese, wine and art. Keen to learn more about the fine art of wine tasting? Check out our step-by-step guide. Check out the new Publik Wine Bar at the trendy Kloof Nek corner. 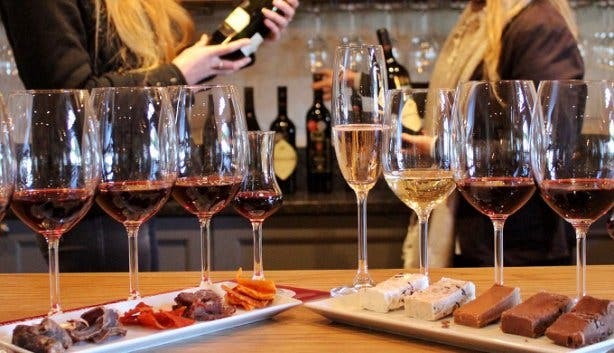 Already checked wine tasting off your bucket list? Here are a few things you need to do in Cape Town before you die.